Clusters are a great choice if you know that your partner doesn’t like rings with a single diamond. 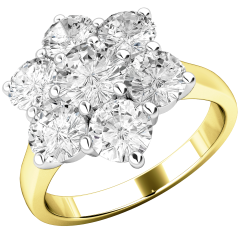 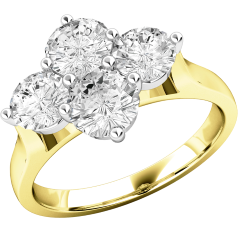 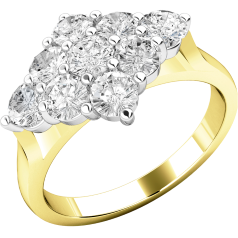 There are cluster rings with a larger central stone surrounded by smaller ones, but also cluster designs that have no bigger diamonds in the centre if you want to go for something more uniform. 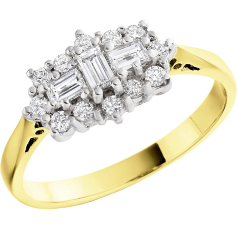 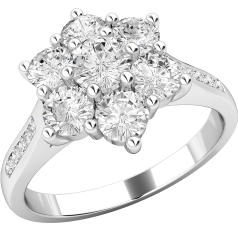 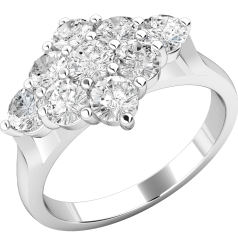 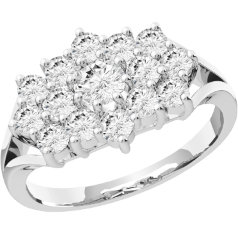 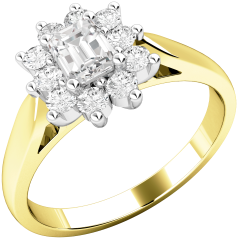 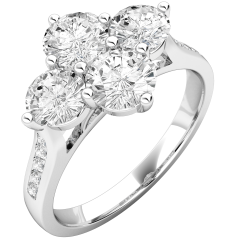 Some of our cluster engagement rings have even diamond set shoulders, which add to the rings’ splendour. 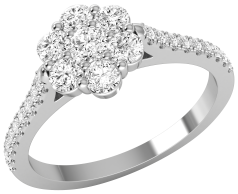 We offer a diversified line of cluster rings; you can find vintage design cluster rings, but also more sleek and modern clusters, along with more delicate and playful designs, like the ‘daisy’ shaped clusters. Since a single diamond with the same carat weight as the total carat weight of several smaller diamonds is generally more expensive, clusters create the opportunity to get more sparkle for your money.